Our Youngest Chapter Matures Quickly! 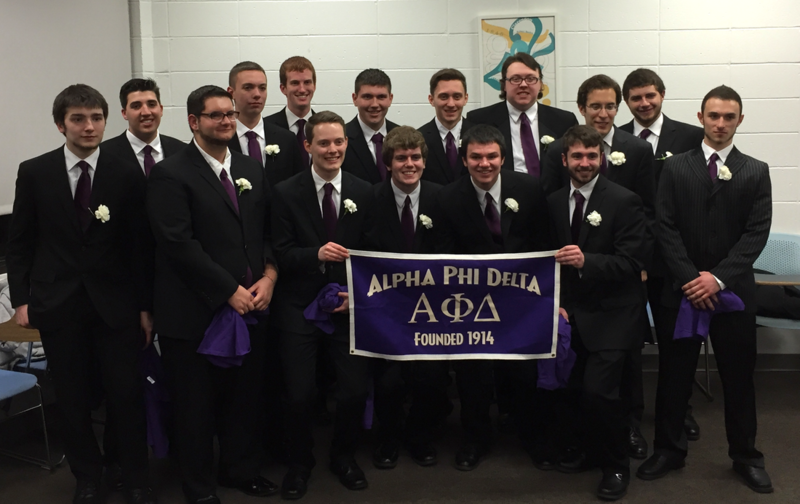 Alpha Phi Delta's youngest chapter is maturing quickly. 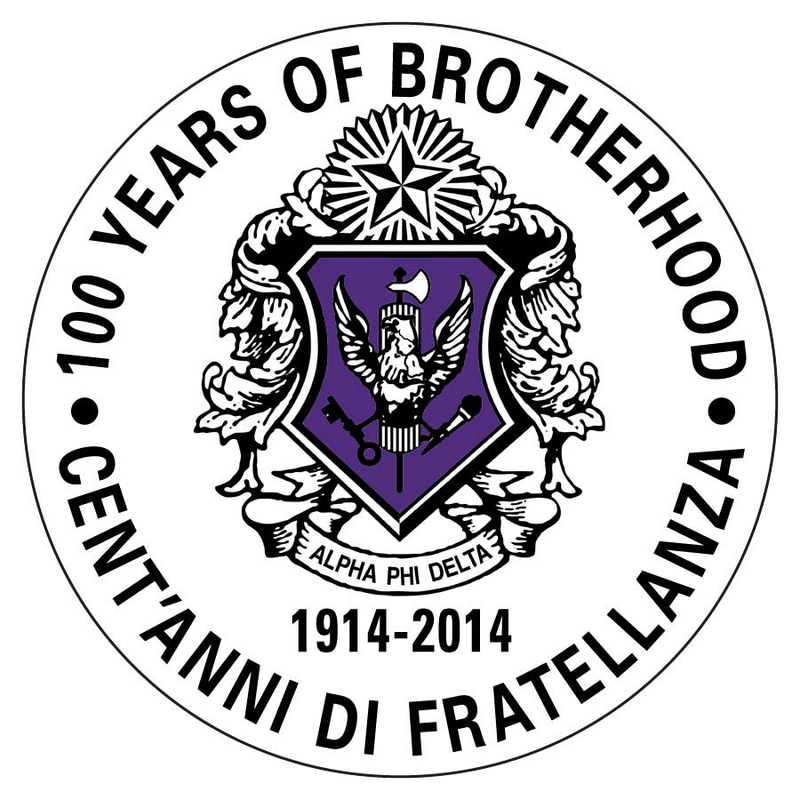 Epsilon Lambda Chapter (made up of students attending the University of New Haven), Founded as a colony in fall of 2015, and chartered as Epsilon Lambda Chapter in February 2017, the Chapter returns this fall with 27 undergraduate brothers. 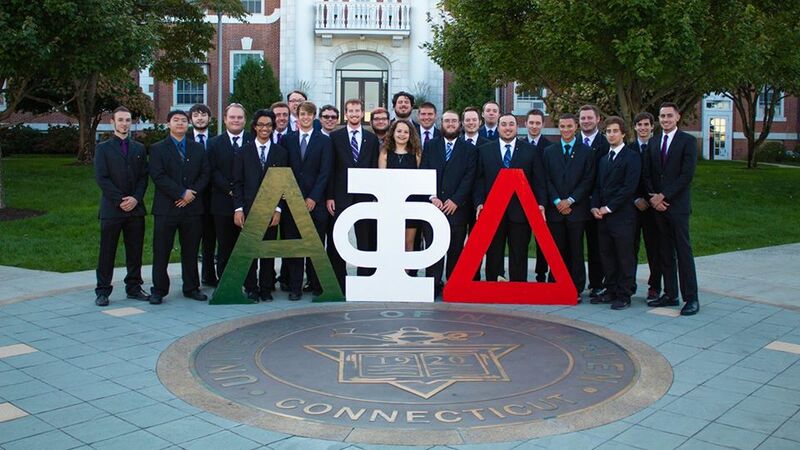 The brothers are shown here supporting our Italian Heritage by displaying our Fraternity's greek letters in Green, White and Red — the colors of the Italian flag. 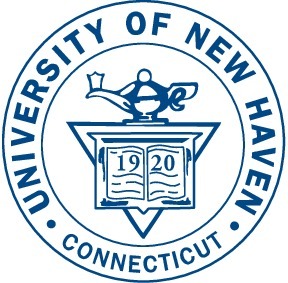 The National Fraternity is looking forward to a very successful year on the campus of University of New Haven due to the fraternal zeal of our Epsilon Lambda brothers. Faciamus! 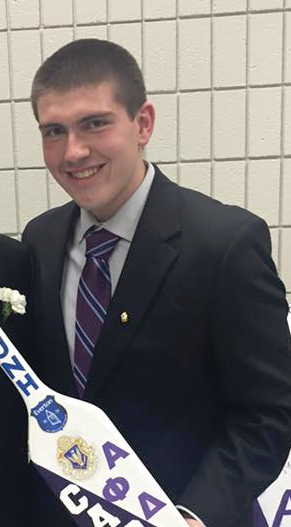 Congratulations to our brother Harrison Kaufman (UNH '15) of our University of New Haven Colony. With a double major of Biochemistry and National Security, and with a minor in Arabic, Brother Kaufman, who comes from Rockaway, New Jersey, has been selected for a prestigious, highly competitive David L. Boren Scholarship from the Institute of International Education on behalf of the National Security Education Program (NSEP). As a result of this honor, Kaufman will go to India study Urdu, a language spoken in Pakistan and northern India. Once he completes his undergraduate studies, Brother Kaufman hopes to continue his studies and earn a master's degree in Middle Eastern Studies. For more details about Brother Kaufman's success, click here. Brother Kaufman was initiated into Alpha Phi Delta as founding member of our University of New Haven Colony (New Haven, Connecticut) on December 6, 2015. He is currently serving as the President of our UNH Colony. 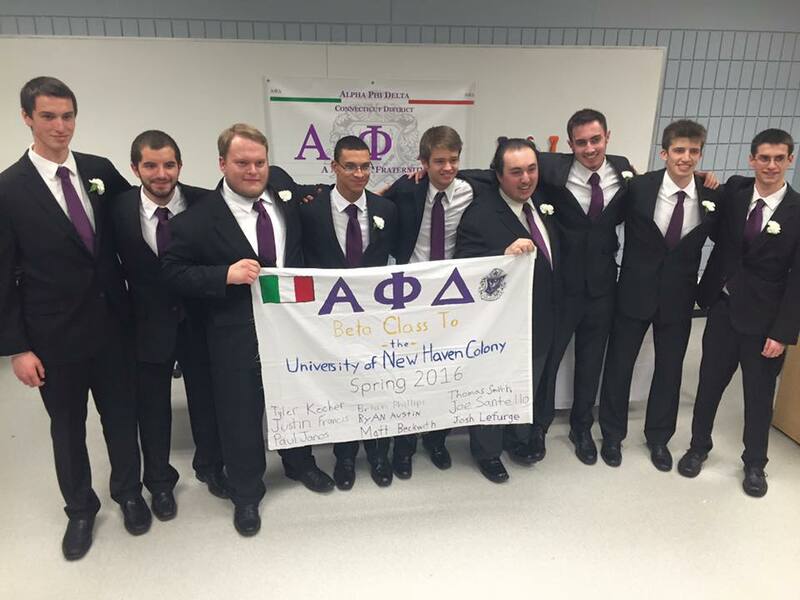 On December 6, 2015, Alpha Phi Delta Fraternity expanded once again as 15 members of our newly established University of New Haven Colony (New Haven, Connecticut) took the Oath of Brotherhood. Congratulations to our newest brothers, who are an early Christmas gift to the Fraternity this year!